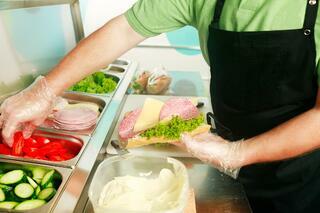 Which Food Safety Disposable Gloves Can Cause Adverse Health Effects? Up to 50% of vinyl gloves are made up of plasticizers, which make the PVC flexible and soft enough to wear. Often plasticizers contain phthalates and BPA as they are inexpensive. Therefore to reduce cost, many vinyl gloves contain the phthalate plasticizers DINP (Diisononyl phthalate) and DEHP di(2-ethylhexyl) phthalate. Both DiNP and DEHP have been found to adversely impact human health and have been added to the Californian Proposition 65 list of chemicals known to the state of California to cause cancer. DEHP is under much scrutiny for its toxicity. Exposure to DEHP has been associated with adverse reproductive, neurobehavioral, and respiratory outcomes in children (Braun et al, 2013; Ejaredar at al 2015) and metabolic disease risk factors such as insulin resisance in adolescents and adults (James-Todd e al. 2012; Trasande and Attina 2015). Diet is believed to be the main source of DEHP and other phthalates in the general population - phthalates have been shown to leach from products into the human body via ingestion, inhalation and dermal absorption (Zota et al, 2015). Because phthalate plasticizers are not chemically bound to PVC, they can easily leach and evaporate into food, particularly fatty foods such as butter, oils and meat – where they become mostly soluble. In one study by Serrano et al. 2014, foods high in fat such as dairy and meat were found to be more contaminated by high-molecular-weight phthalates that are more lipophilic, such as DEHP. Studies conducted in Japan found that use of disposable PVC gloves during the preparation and packaging of meals was a major source of dietary intake of DEHP (Tsumura et al 2001a). The same study also demonstrated a decline in DEHP levels in prepared meals after the ban of DEHP in PVC gloves in Japan (Tsumura et al 2003). Food is likely contaminated with phthalates and BPA during processing (Cao 2010; Geens et al 2012) from PVC in materials such as PVC (vinyl) gloves and food packaging materials (Cao 2010; Serrano et al. 2014). It is not surprising that Japan has banned PVC gloves for food handling due to the well documented adverse effects on health. 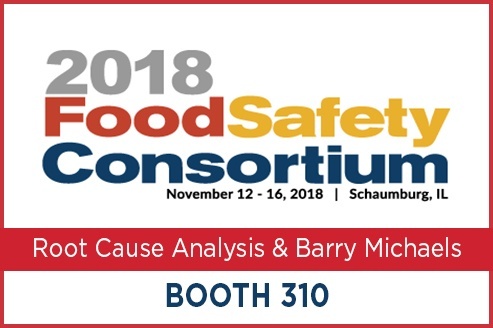 However, despite this evidence, the use of vinyl gloves in restaurants and food handling facilities remains common place in the US, often due to historical glove choices and the incorrect perception that vinyl gloves are a more cost effective option – read more about this here - Are vinyl gloves cost effective?. 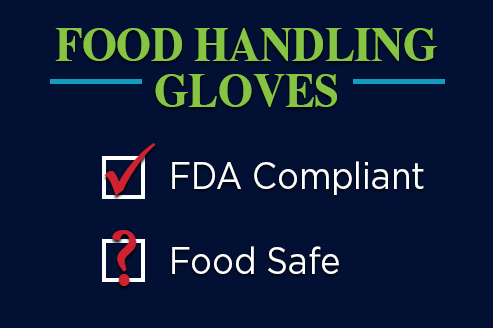 We hope these studies will inform and change business and regulatory glove usage in the food preparation industry; and provide consumers the knowledge to make informed decisions and restaurant choices. Due to recent advances in the formulation and manufacturing of nitrile gloves, they are becoming the more popular and cost effective choice of disposable glove with food processors. 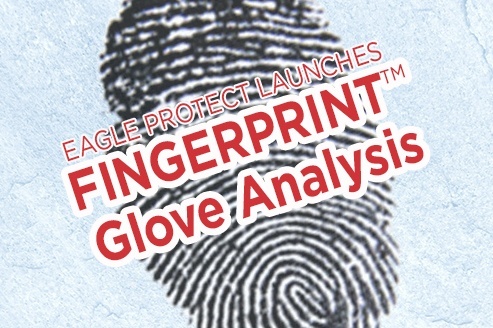 Eagle Protect stocks a full range of nitrile glove alternatives.